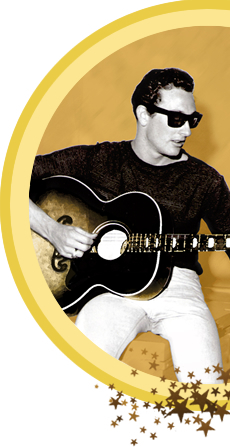 On July 25, Rolling Stone.com announced the release of Songmasters’ tribute album, Listen to Me; Buddy Holly. Boasting a line-up hailed by Holly’s widow, Maria Elena, as “fantastic,” stands apart among the many tribute albums devoted to Holly’s work. Among those contributing brand-new recordings to the collection are Stevie Nicks, Patrick Stump, Jeff Lynne, Natalie Merchant, Imelda May, Lyle Lovett, Jackson Browne, The Fray, Cobra Starship, Brian Wilson, Chris Isaak, Pat Monahan (of Train), Zooey Deschanel, Eric Idle, and the one and only Ringo Starr. The album will include the incomparable version of “That’ll Be The Day” recorded originally by Linda Ronstadt. The album is executive produced by Peter Asher, multiple Grammy award-winner. Navigate to Rollingstone.com or Click Here to see the behind the scenes video.